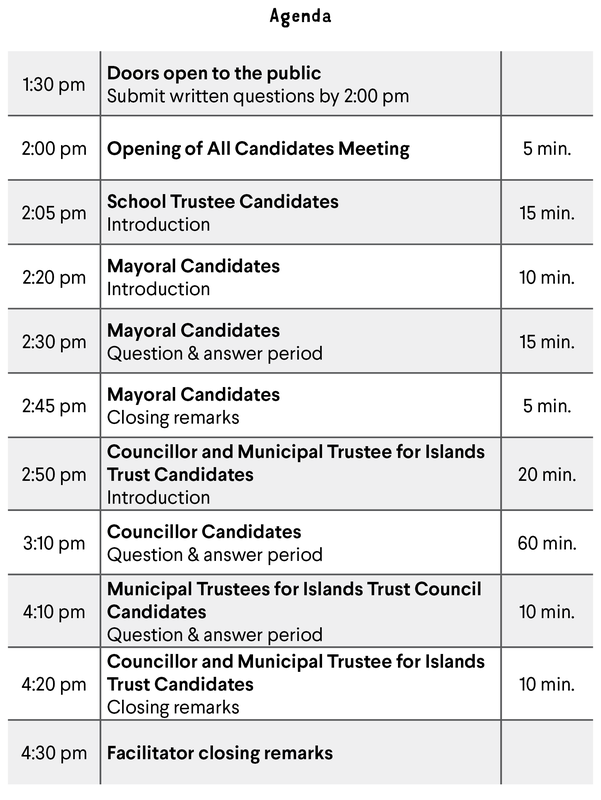 Bowen Island Municipality held an All Candidates Meeting on Saturday, September 29, 2018 at the Bowen Island Community School. Thank you to the Bowen Island Undercurrent for streaming the live video feed. You can also watch the recorded video below or on YouTube.